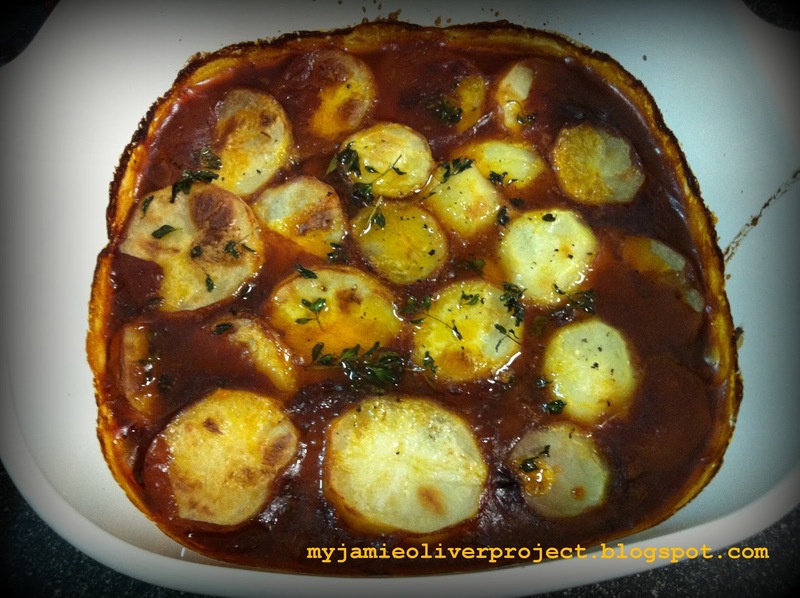 Anything that says stew or one hot pot, I couldn’t resist trying this recipe out. To make this even easier, Jamie recommended an add-on ingredient i.e. POTATOES. Once the stew is cooked, just fill a large baking dish with the fully cooked stew and lay your boiled and sliced (1/4 inch thick) potatoes over the top of your stew. Drizzle with a little olive oil (or melted butter) and brush this over across the potatoes. Sprinkle some picked thyme leaves over the potatoes and add a pinch of salt and pepper. Cook in the oven for 40 minutes on a 190 degrees temperature. As I replaced white wine with Apple Juice, the stew came out rather sweet. I had couple of friends over for dinner and general feedback was quite OK. Nothing spectacular about the stew but easy on the taste bud. 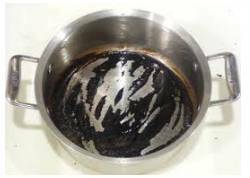 However, biggest lesson learnt, when cooking stew, do not use an induction cooker as when we had to slow cook the stew, an induction cookers works in a way where the heat is spread out across the entire ceramic surface that holds the pot. And unlike a gas stove, you are unable to reduce the heat towards the center of the pot which helps when you are slow cooking stews. So, I realized this too late. Some of the vegetables were burnt which could have affected the quality of the stew. If using the oven to cook your stew, preheat it to 180ºC/350ºF/gas 4 • Trim the ends off your celery and roughly chop the sticks • Peel and roughly chop the onions • Peel the carrots, slice lengthways and roughly chop • Put a casserole pan on a medium heat • Put all the vegetables and the bay leaves into the pan with 2 lugs of olive oil and fry for 10 minutes • Add your meat and flour • Pour in the booze and tinned tomatoes • Give it a good stir, then season with a teaspoon of sea salt (less if using table salt) and a few grinds of pepper • Bring to the boil, put the lid on and either simmer slowly on your hob or cook in an oven for 3 hours • Remove the lid for the final half hour of simmering or cooking • When done, your meat should be tender and delicious • Remember to remove the bay leaves before serving, and taste it to see if it needs a bit more salt and pepper • You can eat your stew as it is, or you can add some lovely dumplings to it. I love the method of layering sliced potatoes over the top of the stew. Since I tried it the first time, my son insists that every stew be made this way!